We are well past the time when hard drives and optical media were the main storage options for our files. One of the main reasons this happened is the immense growth in the number of mobile devices in the last decade. The idea behind cloud storage is that you store content on remote servers and gain access to it from anywhere and from any device that has internet access. With this in mind, no wonder different cloud services and apps are gaining in popularity. Formerly known as Skydrive, this all-around app covers not only services related to other Microsoft products like Office, but a wide array of others as well. 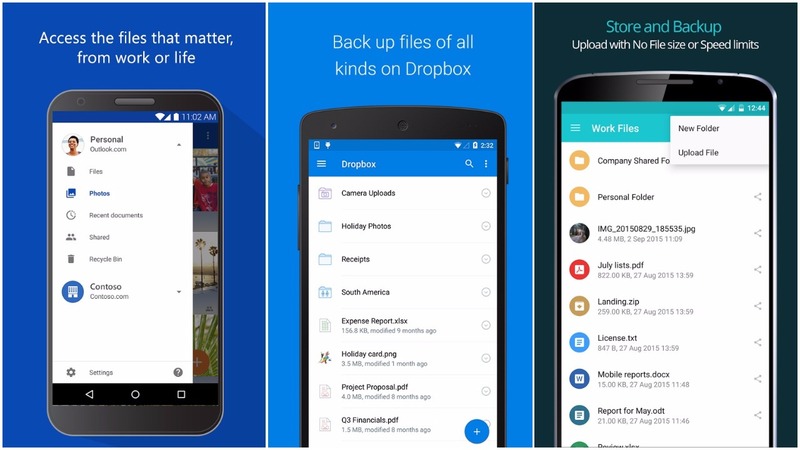 You can use it to backup your photos and other personal files automatically. It has good sharing and collaboration features and users that pay for office get 1TB of storage without any additional costs. Probably the biggest name in the world of cloud storage. This is the app many get pre-installed on their brand new handsets. It comes with auto photo upload, office files editing options and the ability to send files larger than the constraints of an email attachment. This nifty little app and cloud service is probably the biggest surprise on this list. It comes with 10GB of free storage and the option to double it with bonuses. It has automatic photo upload options, offline access, no limits to upload sizes and it enables your friends to upload to the folders you mark as public and easily transfer files. Overall, it’s easy to use, cheap and feature-packed. 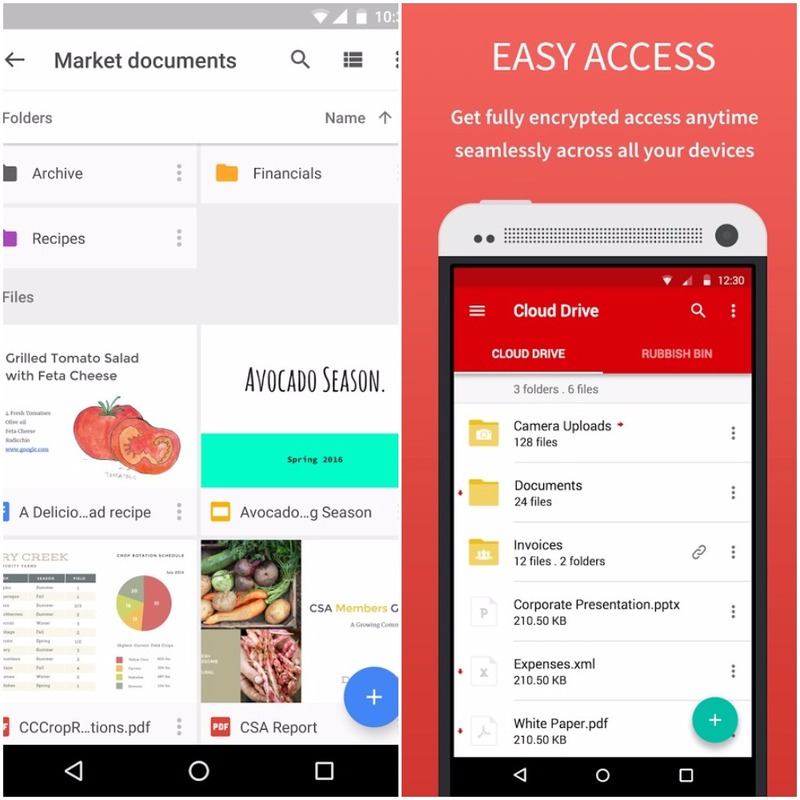 Almost every Android phone that has GApps installed comes with Google Drive by default. What you get out of the box is 15GB of free storage, unlimited photo and video backup and a set of office apps for editing word (docs), excel (sheets) and powerpoint (slides) files. Everything you do is synchronised via your account and is easily accessible from any computer. This is certainly quite an interesting service. Mega is a successor to, not so long ago, shut down Megaupload cloud service that was owned by Kim Dotcom. Though Mr. Dotcom himself restarted the service on mega.co.nz, it is no longer in its hands, but rather controlled by an executive team. On the technical side, Mega comes with 50GB of free space, which is more than any other service on our list, and is renowned for encrypting the uploaded files for added security. You are given a unique encryption key which controls the account. Note that, should you forget the password, without the key, you will loose everything. Each of these apps and/or services has its advantages over the other. Google, being the creator of Android has the upper hand here, but the rest aren’t letting the fight go so easily. Features like strong encryption (pCLoud and Mega) and office integration (Dropbox, Onedrive) are just a couple of important things that these services emphasize in order to deal with Google on the home turf as best as possible.